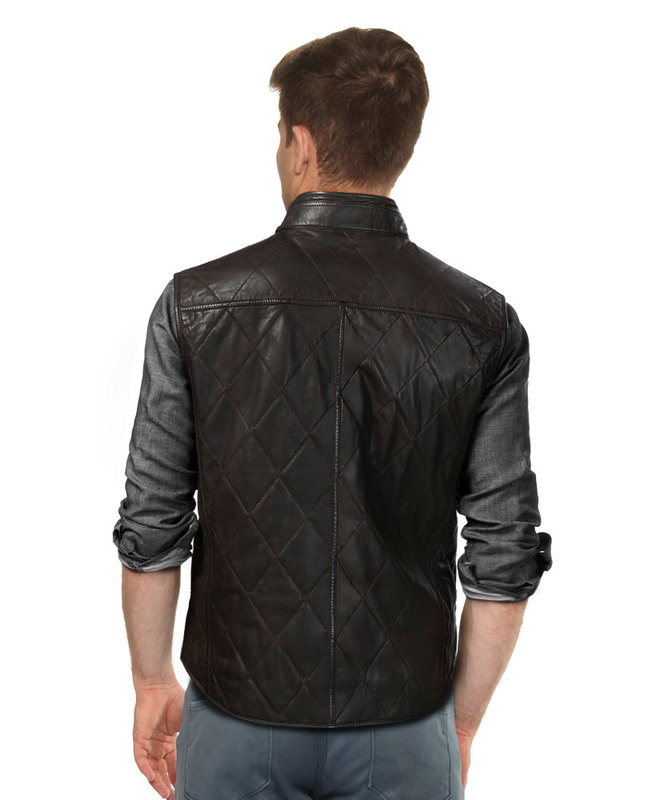 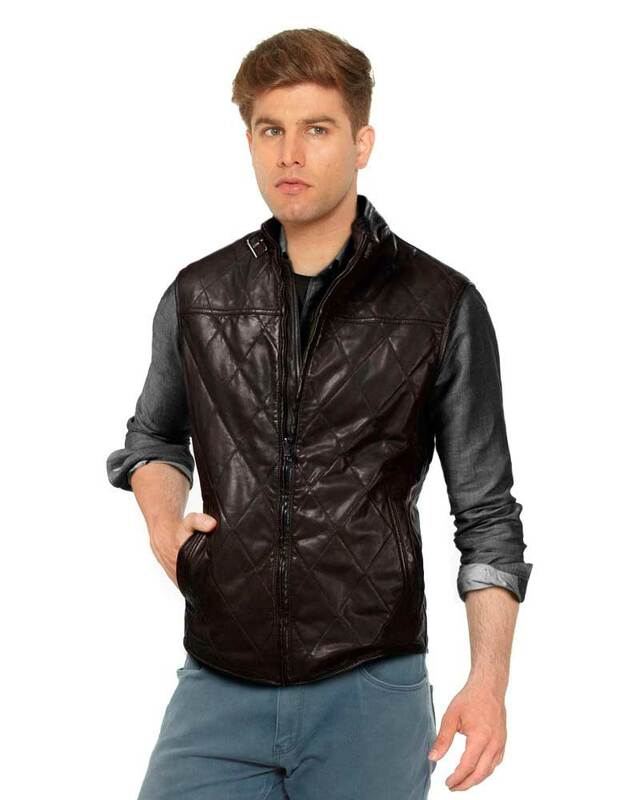 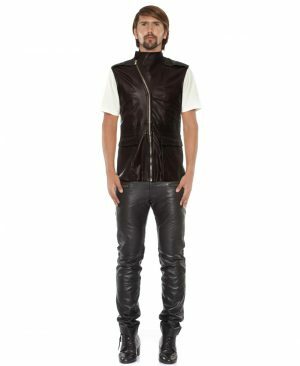 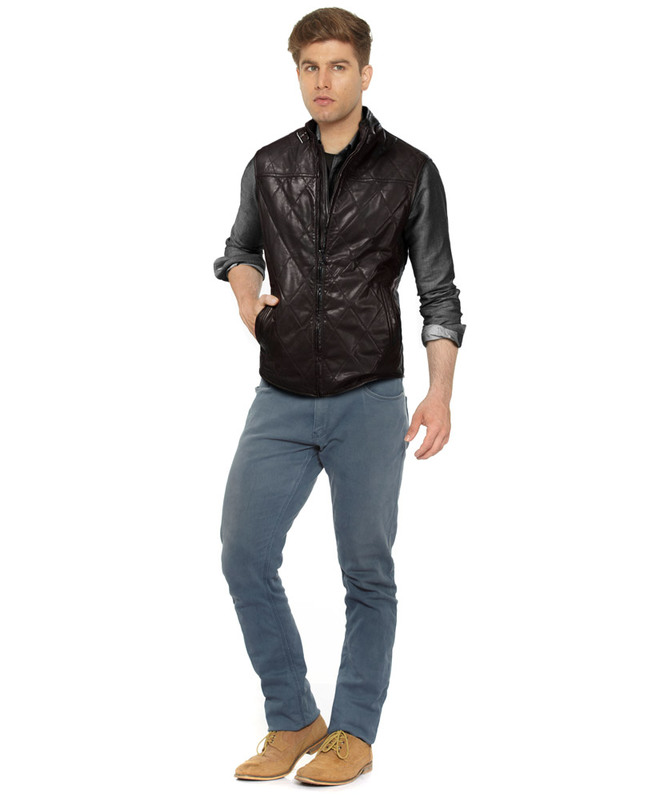 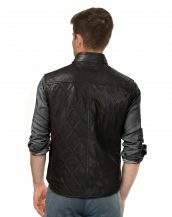 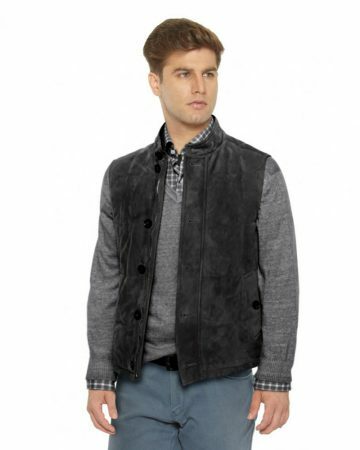 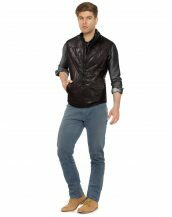 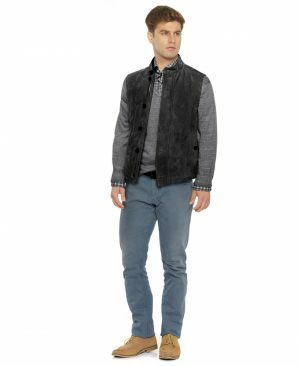 This season do not wait to add a touch of refined style with this fashionable mens black diamond quilted vest. 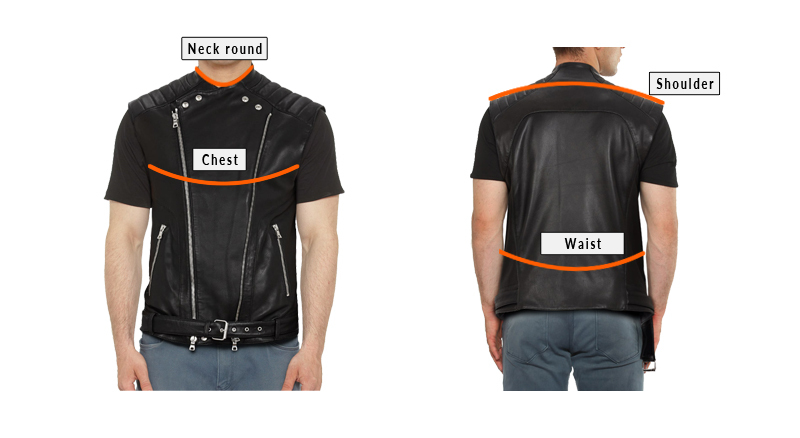 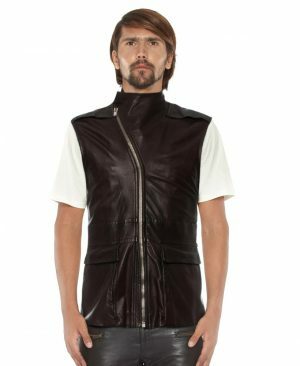 A wear it anywhere piece, designed from lamb leather, just to add a dash of attraction to your overall look. 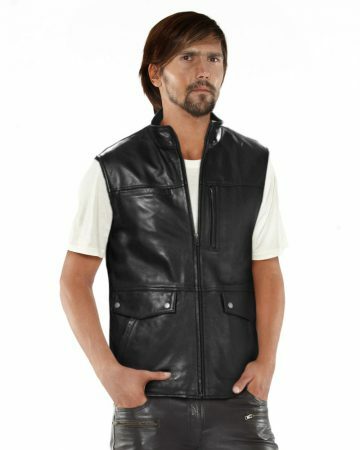 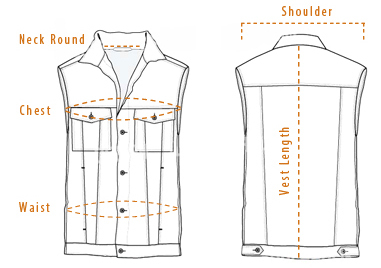 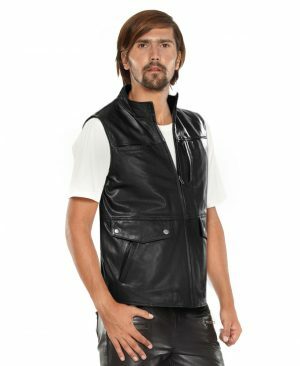 Featuring front zip fastening and adjustable buckled belt at the collar makes this vest comfortable wear for the season.